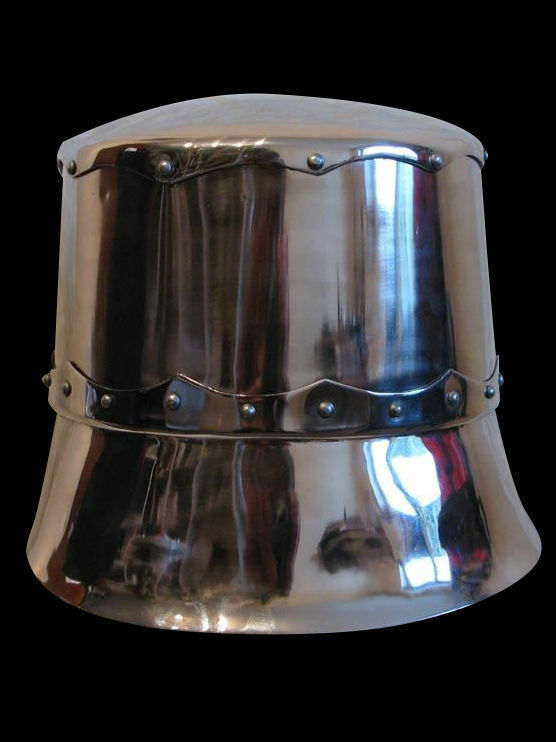 Topfhelm (Great Helmet) was widespread among the cavalrymen in the XII-XIV centuries. 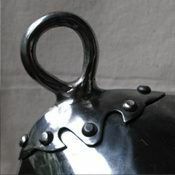 This model of battle helm is mostly typical for XIII century. Great Helmet was usually worn over the mail coif and padded liner. 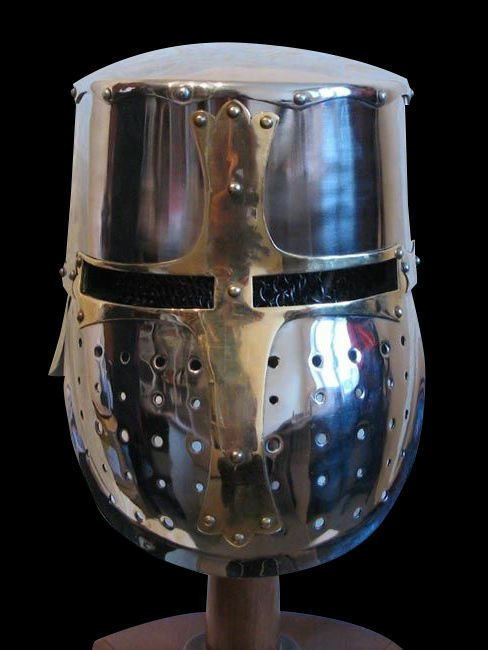 Such system was guaranteeing comfortable and tight fit of this medieval head protection. Frontage is equipped with forced cross-shaped plate. Oculars and holes on visor provide with free seeing and breathing. You may also like these models of Topfhelms: Great helm, Great helm, first part of the XIV century. 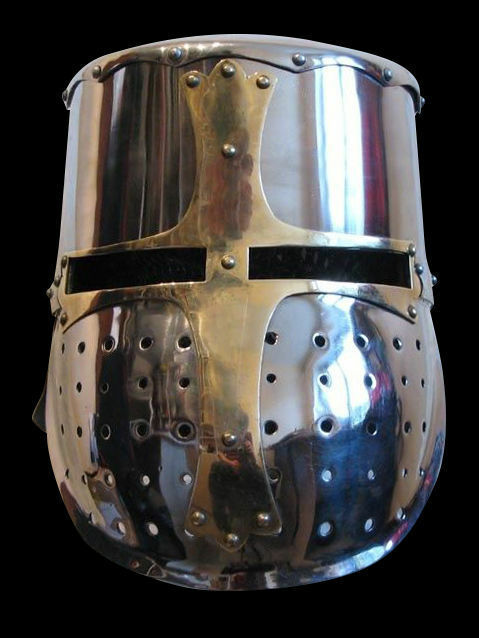 Barbute is type of popular infantry helmet in Italy of the XV century. Due to cheek guards, face is largely covered. Etymologically, the word “barbute” is derived from Italian “Barba”, what means “beard”. It can be interpreted as “Bearded helm”: cheek guards or beards, staring from under the helm are meant. Open-faced helmet barbute could have T-cut or Y-cut from the front. So, face was covered only partially. Dome could be conical or spherical conical. This model of battle helmet barbute is typical head protection of medieval infantryman.  Armor is completely handcrafted by individual parameters of customer. You can use this medieval steel head armor for: SCA HEMA Larp Stage performances Medieval festivals Reenactment events Main photo shows open-faced helmet with following options: Cold-rolled steel 1.5 mm; Satin polishing as finish treatment; Brown leather belts; Steel nickel-plated buckle; Steel rivets; Sewn liner Base price includes following options: Cold-rolled..
A splendid model of late helmet armet is made of firm cold-rolled steel and is a part of Armor Garniture of George Clifford, Third Earl of Cumberland. 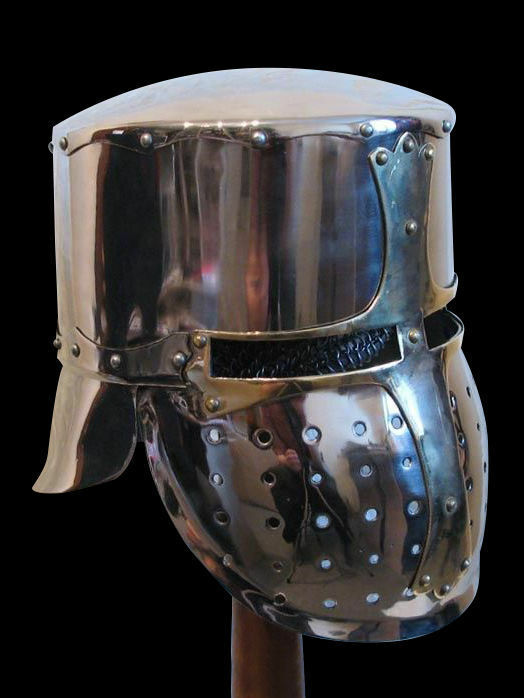 Were there better helmets in the XVI century? Probably, yes. More impressive? Never! Dome features two welded halves. Comb of this real knight helmet is hollow inside, made by folding method and decorated with etched ornament. Chin plate of helmet is movable and attached with hinges to the sides of dome. Upper and bottom plates of two-halved visor are attached to the temple parts of dome with single pivot joints. Gorger is also consisted of two plates, as front part, so back one. 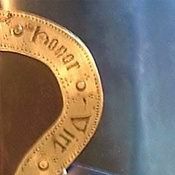 Pay attention that lower plates of gorget are canted and decorated with inlay. Helmet is the most important element of armor, as hardly anything else may be more important that safety of your head during the combat. So, it must be properly adorned. 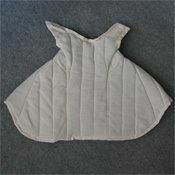 Having mastered works of Greenwich workshop of this period (especially, Cumberland armor), we have decided to settle on the etched Tudor roses and light flo..